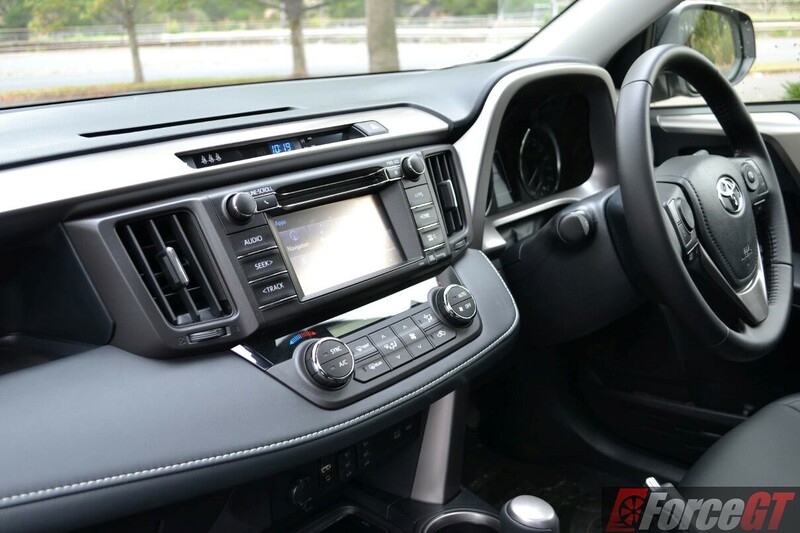 The Toyota RAV4 is the pioneer of the compact crossover class. First launched in 1994, it combined the versatility and space of a four-wheel-drive with the comfort and manoeuvrability of a hatchback. Today, the midsize SUV class that the RAV4 spearheaded is one of the most competitive and fastest growing segments in Australia; buyers are spoilt with no less than 15 choices. 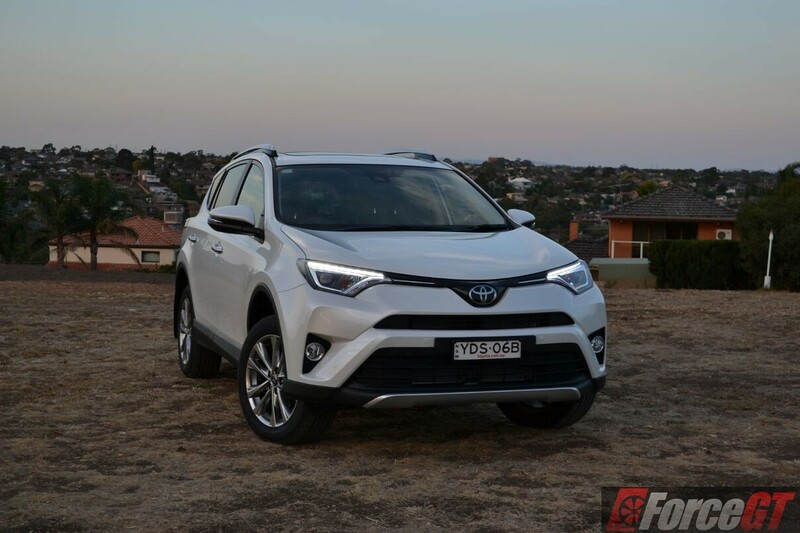 With the Mazda CX-5 leading the market share and the Nissan X-Trail fast gaining momentum, Toyota has given its three-year-old fourth-generation RAV4 a midlife update, with the aim of regaining the top spot from the dominant CX-5. 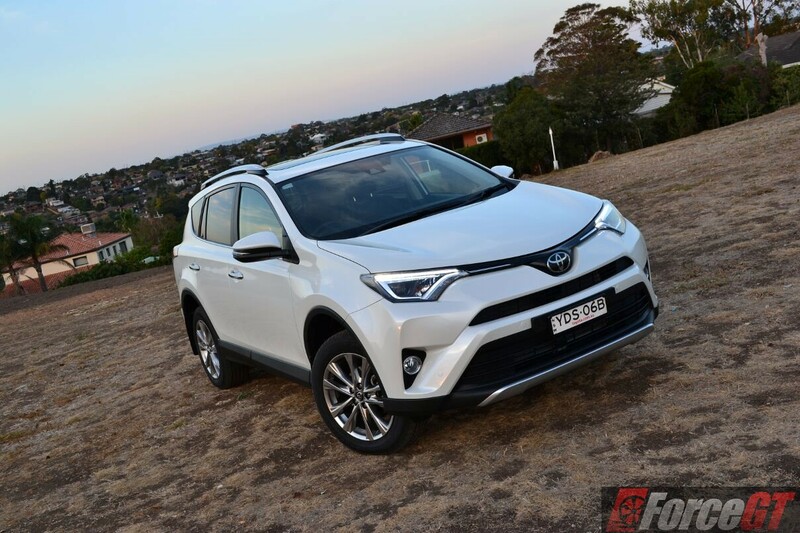 Available in both petrol and diesel engines, six-speed manual or automatic transmissions, and front- or all-wheel-drive, the 2016 RAV4 range kicks off with the $27,990 entry-level 2WD GX Manual, stretching to $49,490 for the top-spec AWD Cruiser Automatic. 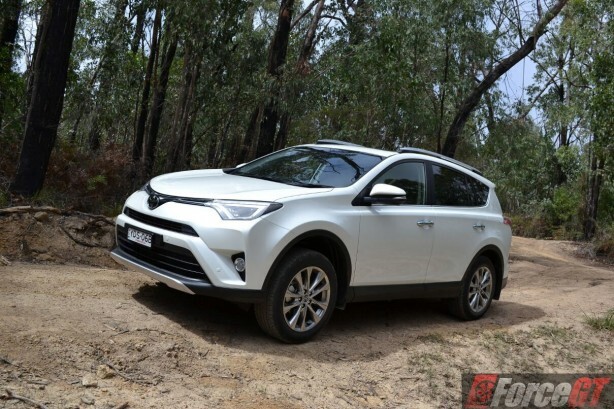 The pre-update RAV4’s forgettable styling has been given a refresh and the results are much more appealing than before. 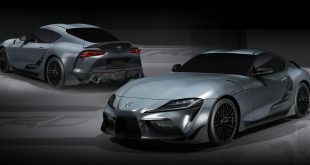 The front end gets the biggest change, with revised LED headlights (now with integrated LED daytime running lights), a new grille and a redesigned front bumper. 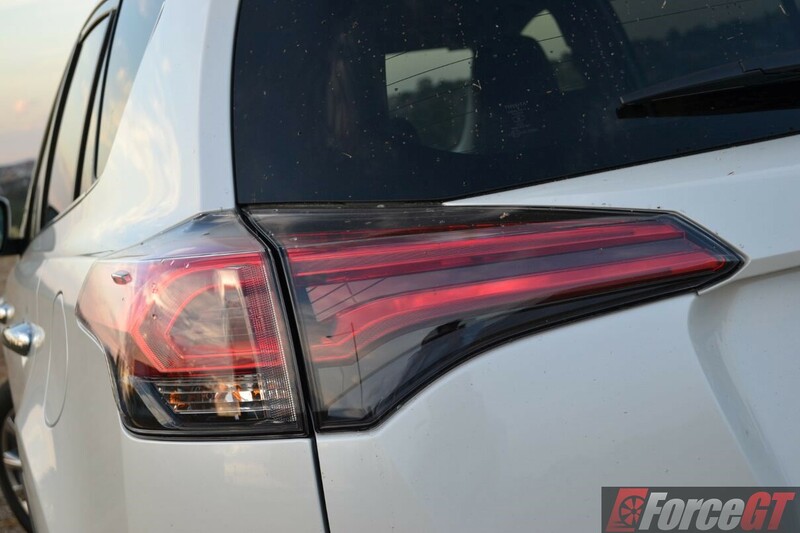 At the back, there’re the new taillights with trendy LED light tubes and a revised rear bumper for a sleeker look. 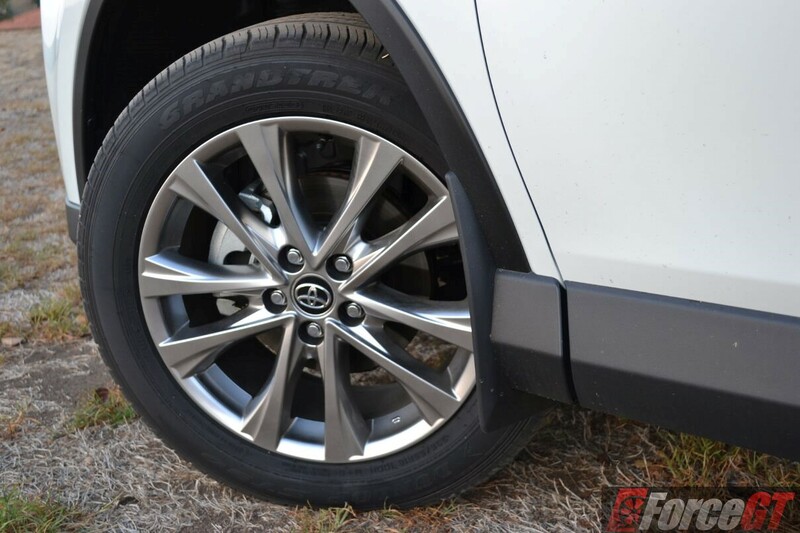 New wheel-arch mouldings and rocker panels sharpen the sides, contributing to a more flowing profile. There are also new wheel designs for the mid-range GXL, which gains larger 18-inch black alloys, and range-topping Cruiser and a standard shark fin antenna on all grades. 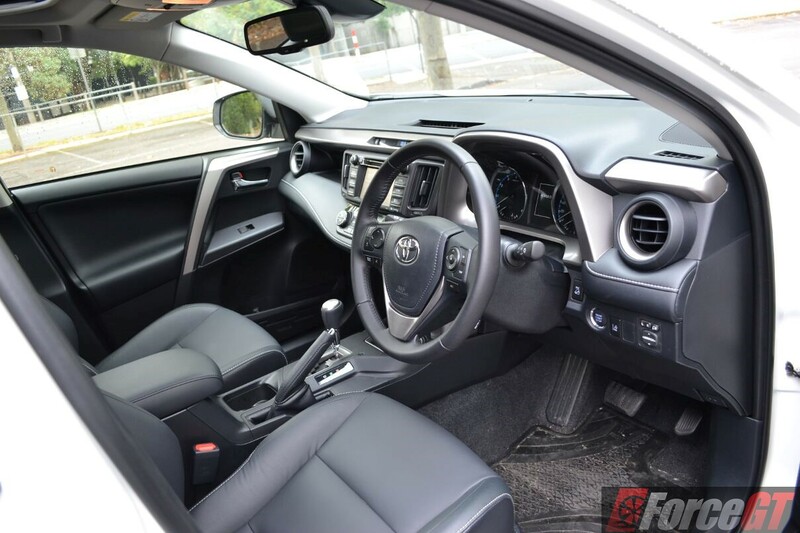 Inside, the new RAV4 retains its cluttered, button riddled dashboard, but scores new matte black trim with contrasting silver accents. 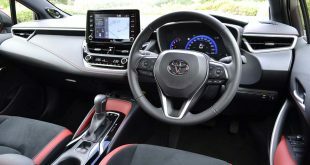 The centre stack has been redesigned so the front cup holder can accommodate mugs with handles, but the front seat heating switches and drive mode buttons are still nestled in a hard to reach and see recessed under the centre console. The 6.1-inch infotainment touchscreen is easy to operate but can do with quicker processing and tends to suffer from glare under sunlight. Bluetooth pairing is swift but voice control seems to have a mind of its own. The centre GXL and Cruiser variants gain a new two-dial instrument cluster with a 4.2-inch colour multi-information display. 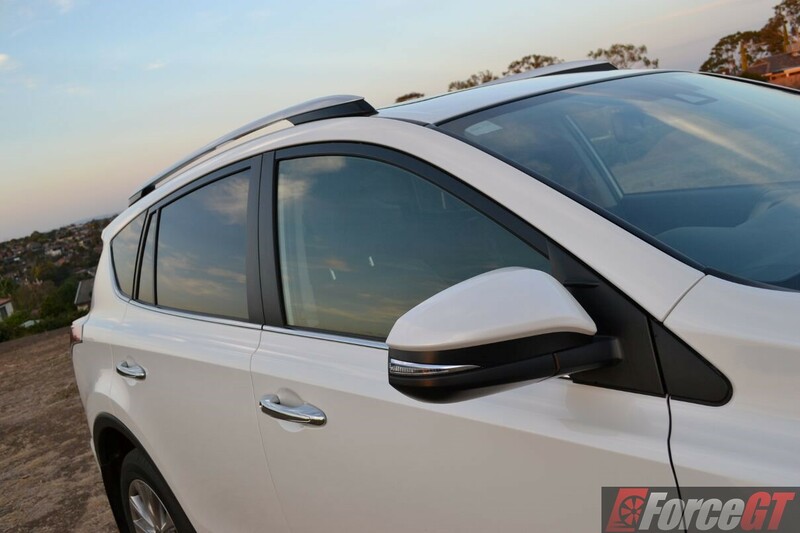 GXL is also now fitted with auto dimming rear-view mirror. 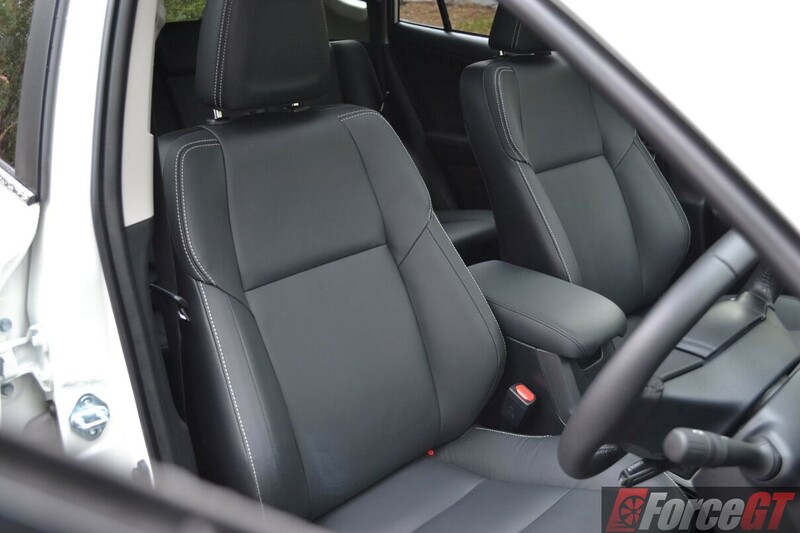 RAV4 Cruiser’s cabin, including its leather-accented seats, can now be specified in black, tan or beige depending on the exterior colour. Speaking of which, the colour palette now expands to include Deep Red mica metallic, Hazel and Blue Gem. 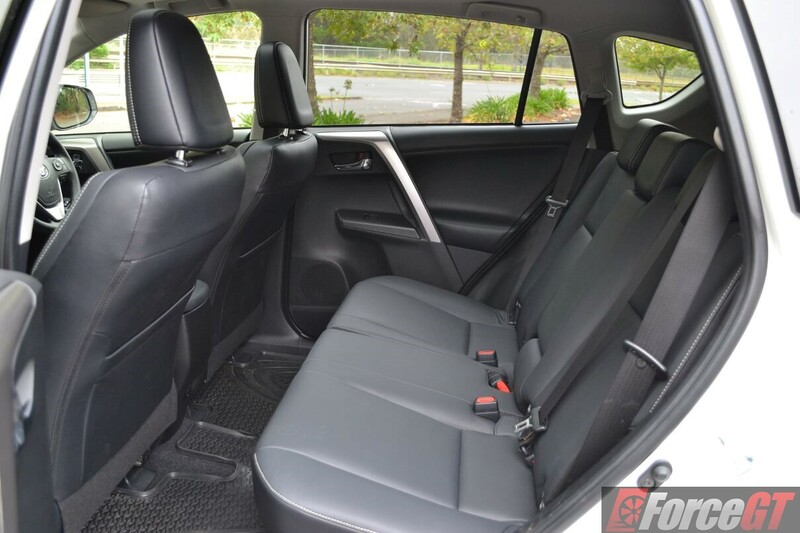 The seats give excellent support and are comfortable enough for long trips. Rear legroom is still the best in class. The 12-volt accessory socket in the second row (in addition to two in the front) is a welcomed addition for rear occupants. 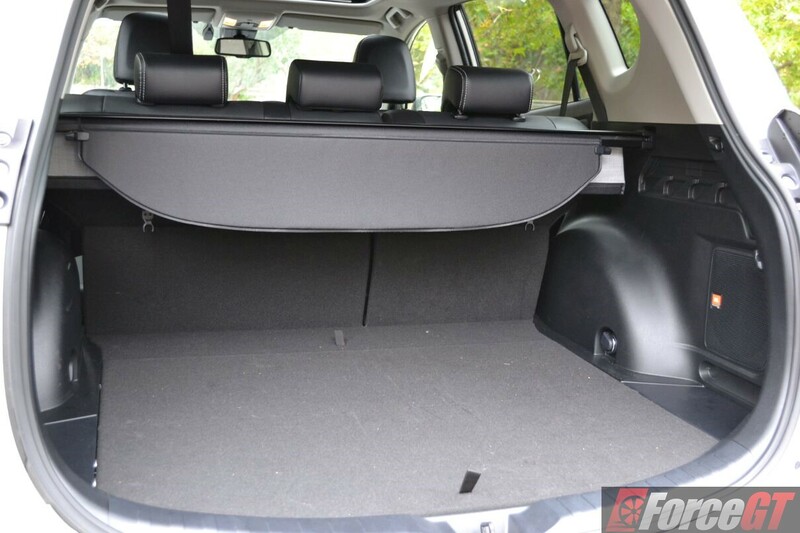 RAV4 Cruiser’s power-operated tailgate opens up to a suitable height for easy access without requiring too much of a stretch to reach the open/close button. The 577-litre of capacity is not class-leading but substantial for most needs. The flat boot floor means no space gets wasted. Carried over unchanged from previously are three four-cylinder engines, starting with a 107kW/187Nm 2.0-litre petrol for the two-wheel drive variants. 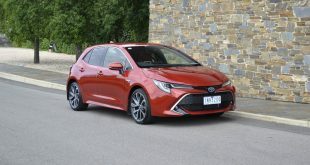 All-wheel drive versions can be specified with a 2.2-litre turbo diesel engine that develops 110kW of power and 340Nm of torque, or a 2.5-litre petrol engine that serves up 132kW/233Nm. 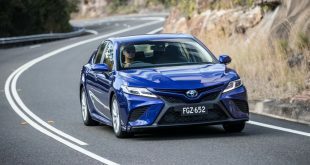 2WD models are available with a six-speed manual gearbox or seven-speed stepped CVT while AWD variants are offered with either a six-speed manual or six-speed automatic transmissions. 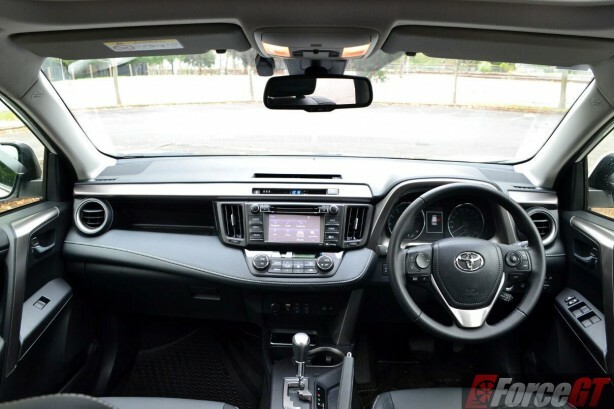 The 2.5L petrol engine found in our tester is dependable, if not inspiring around town. 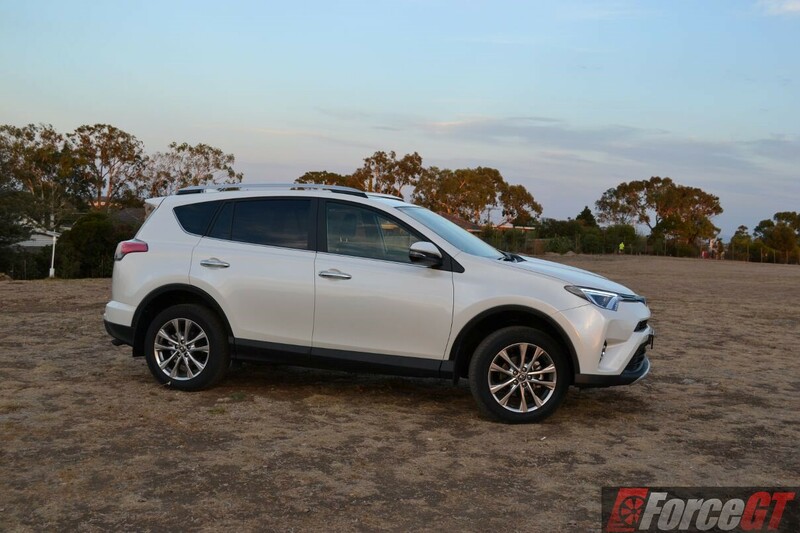 A new ECU tuning for 2016 gives the crossover stronger launch off the line, while the six-speed auto and AWD drivetrain offer good refinement and driveability. With added insulation, the cabin strives in quietness, keeping engine, road and wind noise at bay, interrupted only when you send the mill high up in the revs. 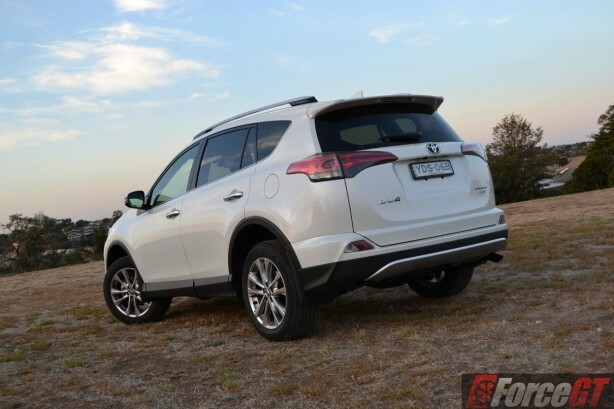 The RAV4’s admirable ride quality has been polished further thanks to a more rigid rear body shell and revised dampers and springs all-round. Most ruts and bumps are soaked up with the buttery feel of a sedan, giving a plush ride across all but the roughest surfaces. 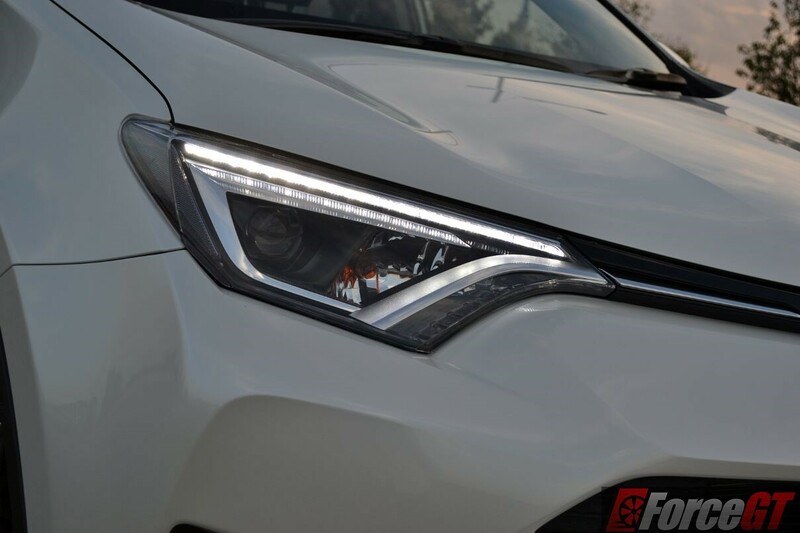 Because the RAV4 is setup more for comfort than dynamics, your enthusiasm around the bends is better cured with the Mazda CX-5 or Subaru Forester as the Toyota just isn’t as planted during hard cornering. On the flip side, the AWD RAV4’s torque vectoring system is one of the best we have sampled, directing torque to where it’s needed most, ensuring exceptional grip level be it on or off road, dry or wet. There’s a lockable centre differential and hill descent control for tricky situations. There’s a big lift in quality in the fourth-gen RAV4. The whole packaging feels sturdy, with impeccable fit and finish in the cabin. Leather isn’t available, substituted with a material called Softex, which looks and feels almost like the real thing. The digital multi-information display sandwiched between the gauges serves up crisp, premium-looking graphics, while soft touch plastics appropriately adorns the upper dash and door trim. 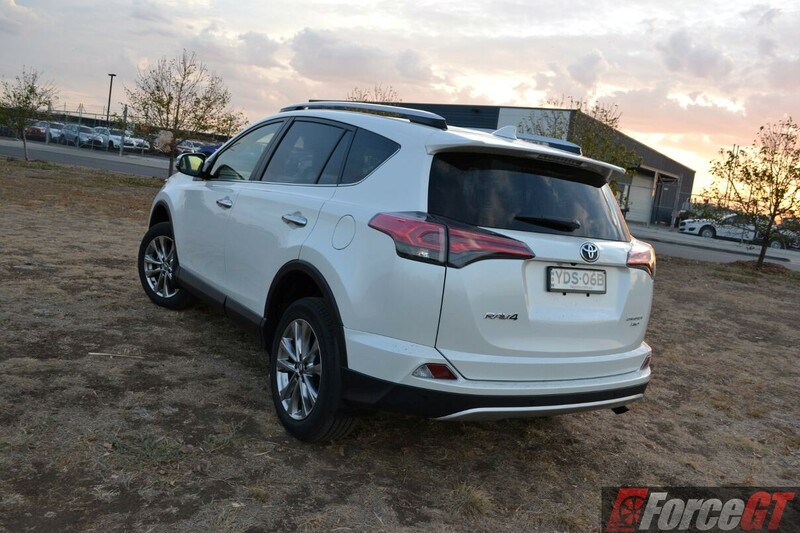 As with anything with a Toyota badge, the new RAV4 is, and feels, as reliable as a brick. 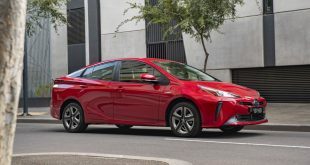 With the lack of fuel-saving tech such as automatic idle stop/start and regenerative braking, the 2.5-litre petrol engine in our tester isn’t the most economical in class, averaging double digit fuel economy figure around town. Expect about 7.0L/100km on the highway. At the end of our week-long test covering over 600km of city and highway driving, the RAV4’s trip computer reported a combined average of 10.1L/100km. Standard equipment list is long. 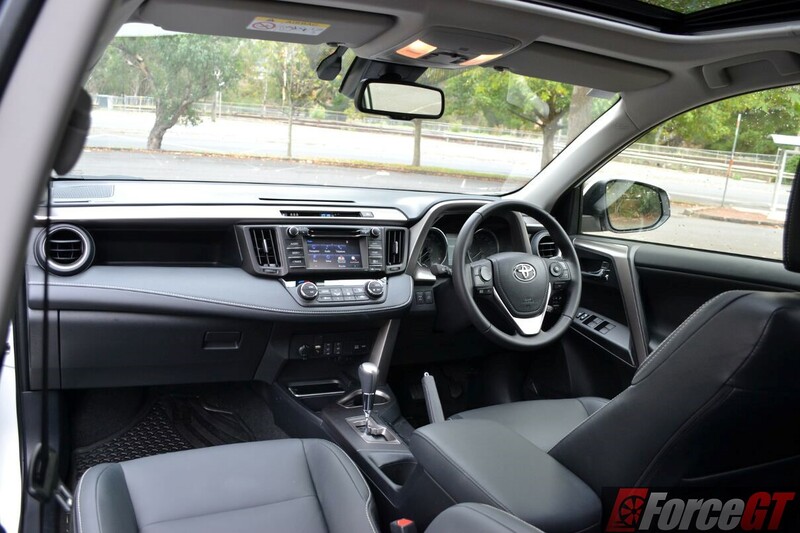 Seven airbags, stability and traction control, ABS, Bluetooth connectivity, 60/40 split-fold rear seat and roof rails are all standard. 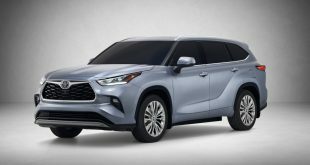 Mid-level GXL adds 18-inch alloy wheels, reverse camera, sports seats, dual-zone climate control, rain-sensing wipers, power-retractable exterior mirrors, keyless smart entry and push-button start. The range-topping Cruiser buys satellite navigation, powered tailgate, HID headlights, 8-way power driver’s seat, 11 Speaker JBL Premium Audio and a tilt-and-slide moonroof. In addition, it now includes, as part of the 2016 safety upgrade, Pre-Collision System with forward collision warning and automatic emergency brake, Lane Departure Alert, Automatic High Beam, Blind Spot Monitor with Rear Cross Traffic Alert and front parking sensors and Dynamic Radar Cruise Control. 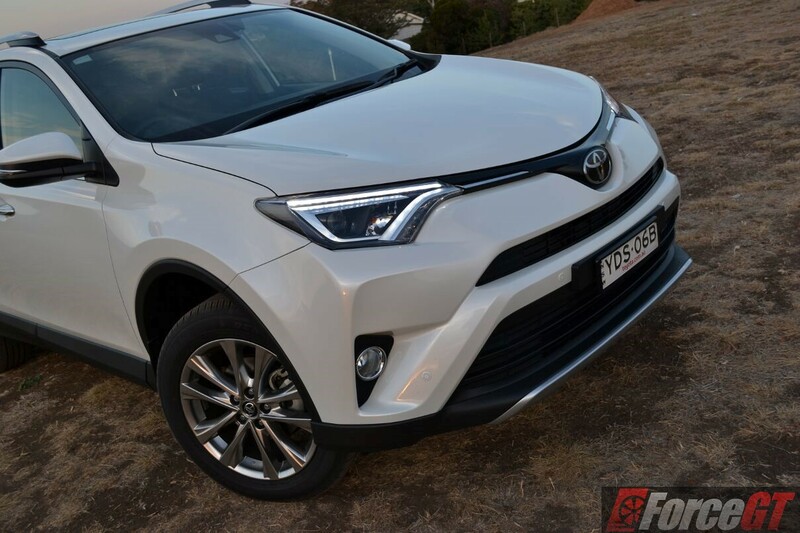 Well built, practical and reliable, the Toyota RAV4 will continue to be in the shortlist for many looking for a compact crossover. 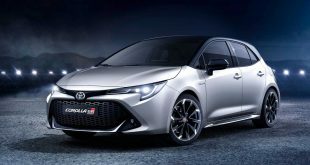 For 2016, the appeal is boosted with sharper looks and added features, which will now resonate with more buyers in this highly competitive segment. However, interior ergonomics and driving dynamics still need to be refined, if it is to edge out the all-rounded Mazda CX-5 and athletic Subaru Forester.